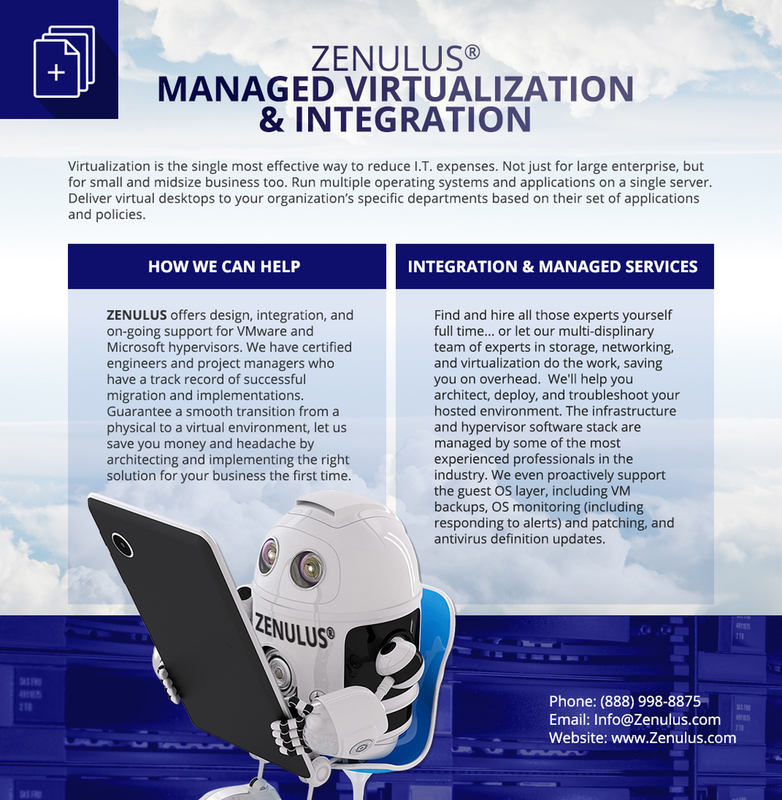 Zenulus offers design, integration, and on-going support for VMware and Microsoft hypervisors. We have certified engineers and project managers who have a track record of successful migration and implementations. Guarantee a smooth transition from a physical to a virtual environment, let us save you money and headache by architecting and implementing the right solution for your business the first time.